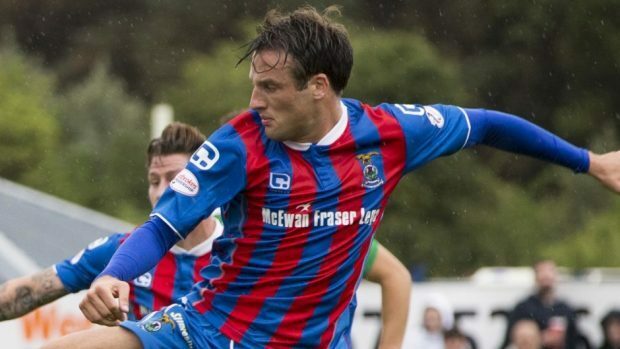 Caley Thistle manager John Robertson says securing defender Brad Mckay and goalkeeper Cammy Mackay on new two-year contracts will help to bring stability ahead of further cuts to the playing budget. Although Inverness still have an outside chance of a promotion play-off place, with eight points separating them from fourth-placed Dundee United, the Highlanders are already making preparations for a second successive season in the Championship. Caley Jags’ parachute payment of £500,000 they received following relegation from the Premiership last summer will be halved, while they will also lose out on the £370,000 solidarity payment they received for being one of the 11 other clubs in the Premiership last season when Celtic qualified for the group stages of the Champions League. Robertson is pleased Mckay and Mackay have shown they are on board with the club’s efforts to return to the top-flight by agreeing deals until 2020. He said: “We are delighted they have decided to stay with us and continue the fight to get back to the Premiership. “It’s commitment from both sides. We have looked at the budgets which will again, unfortunately, be cut dramatically this year because that’s where we are. “That’s the unfortunate consequences of remaining in the Championship. The monies that were available from the Premiership, and the initial payments, are no longer available. “It’s a commitment for us to say to these players they are a huge part of our plans, and it’s also a big commitment for the players to think they are at a club that wants to try and get back to the Premiership. Robertson sees former St Johnstone defender Mckay, 25, and goalkeeper Mackay, 21, who has had loan spells with Elgin City and Brora Rangers in recent years, as being important to his long-term plans, adding: “We have huge hopes for Cammy but he has had a couple of wee niggling injuries, while Brad has formed a tremendous relationship at the back with the likes of Coll Donaldson in that run. “We see that pairing being one to develop in the future. “We look at longer-term planning. Obviously we are trying to get a squad together for next season, and most of that is in place. “Due to the budget restrictions there will not be many going out and not many coming in. But we will have to freshen up the squad and look for those extra bits of quality we feel we need.